 In 2008, our founder and director Reshad Hossenally started Ticket Arena to provide consumers and gig-promoters with a better way to buy and sell tickets online. Over the years that have followed, the company developed our own online platform called Event Genius, and have increased our market share to become an award-winning provider of innovative event technology to promoters across the UK and Europe. Based in Leeds and London, our mission remains clear: to work in partnership with event organisers of all sizes and types, to help them deliver the best live experiences possible to fans. Any promoter who signs up to Event Genius will get access to a suite of industry-leading tools like our mobile-friendly white-label box offices, Event Genius Pay – our cashless POS, fast access control solutions and call centre services for their fans. Tried and trusted by some of the biggest events, club promoters and artists across the globe, including Parklife Festival, Wales Rally GB, The Warehouse Project, Hideout Festival and The Great European Carnival, Event Genius has processed over £50 million in sales.